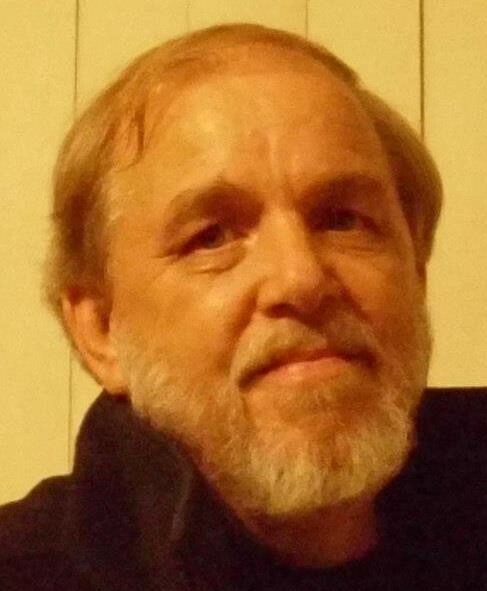 James Howard Marsh, 67 of Gaylord, passed away Tuesday, April 9, 2019 at McLaren Northern Michigan in Petoskey. Jim was born in Pontiac, MI on January 21, 1952. Jim graduated from Battle Creek Central High School in 1970 and enlisted in the U.S. Army shortly thereafter, serving with the 20th Ordinance Detachment of the Explosive Ordinance Disposal in Germany from 1970-1973. After completing his military service, he earned a professional Associate in Underwriting degree from the Insurance Institute of America in 1980. At the end of 2017, Jim retired after a 37-year career in commercial insurance underwriting, having worked for several companies over the years, including Grand River Insurance Associates, Michigan Insurance, Citizens Insurance and Transamerica. Jim lived a life marked by service and was always an active member of his community contributing to its greater good. In Battle Creek, Jim was a Big Brother in the Big Brother/Big Sister program and named Jaycee of the Year in 1985 for his many contributions to their local activities, most memorably the annual Haunted House during the week of Halloween. In Otsego county, Jim continued to serve in myriad leadership roles in several community organizations. He was a dedicated member and Past President (2017-2018) of the Kiwanis Club of Gaylord and involved in every facet of their activities, including the college scholarship selection committee, flags project, air show and the Alpenfest Dime Toss. Jim was also involved at each level of the Gaylord area Boy Scouts organization, serving as the MC for the Cub Scouts Pinewood Derby, Treasurer of Boy Scout Troop 1, Venture Crew Advisor and Charter Organization Representative. Jim was a gifted musician who played guitar and sang in various types of rock and bluegrass bands throughout the years. He was also a talented actor (and later director) who performed with both the Battle Creek Civic Theatre and Gaylord Community Productions in numerous shows such as: Dracula, Oliver Twist, The Fantasticks, A Funny Thing Happened on the Way to the Forum, Fiddler on the Roof and Escanaba in ‘da the Moonlight. He recently directed the children’s play at Alpenfest and helped bring history to life by portraying one of Otsego County’s early settlers in the Gaylord Historical Museum’s annual Cemetery Stroll. He was also a member of the Board of Directors for Gaylord Community Productions. Jim’s witty sense of humor and artful design of the best practical jokes made him equally beloved and bemoaned by all who knew him and his ability and joy in making people laugh is one of his most memorable qualities for which he will be greatly missed. Jim enjoyed fishing, camping and golfing and looked forward to cruising from campsite to campsite in his new RV trailer during retirement. In addition to being an accomplished pancake and Dutch oven chef, he was a stalwart Michigan fan and likely boasted the largest collection of blue Michigan sweatshirts given by one’s children in all of northern Michigan. He also liked to read and played a mean game of both frisbee and minature golf. Jim is survived by his children, JoDee (Patrick) Rolfe of Kalamazoo, MI, Julia Marsh of Mount Rainier, MD, Tristan Marsh of Bellevue, NE and Robert Marsh of Gaylord, MI; a granddaughter, Natalie Rolfe of Kalamazoo, MI; his mother, Mary Lou Marsh of Battle Creek, MI; brothers and sisters, Richard (Betty) Marsh of Springfield, OH, Virginia (Michael) Kent of Battle Creek, MI, Beverly (Michael) Kelley of Battle Creek, MI, Corine (Phil) Serjeant of Walla Walla, WA and William “Randy” (Lori) Marsh of Monrovia, CA; many nieces, nephews, grandnieces and grandnephews; his daughter’s mother, Jackie Bass and his son’s mother, Anna Marsh; and many friends, colleagues and fellow civic volunteers. Jim was preceded in death by his father, Robert Howard Marsh, of Cal-Nev-Ari, NV in October 2001. Jim’s family will visit with friends from 5:00-7:00 PM Friday, April 12, 2019 at Gaylord Community Funeral Home & Cremation Service. Visitation will continue at the funeral home from 4:00-5:00 PM Saturday, April 13, 2019 followed by funeral services at 5:00 PM. Those who wish are asked to consider memorial contributions to Gaylord Kiwanis, Gaylord Boy Scouts Troop 1 or Gaylord Community Productions.